Charming 100-year-old home features a wide front porch for lounging in the cool breezes, sipping lemonade and enjoying conversation. 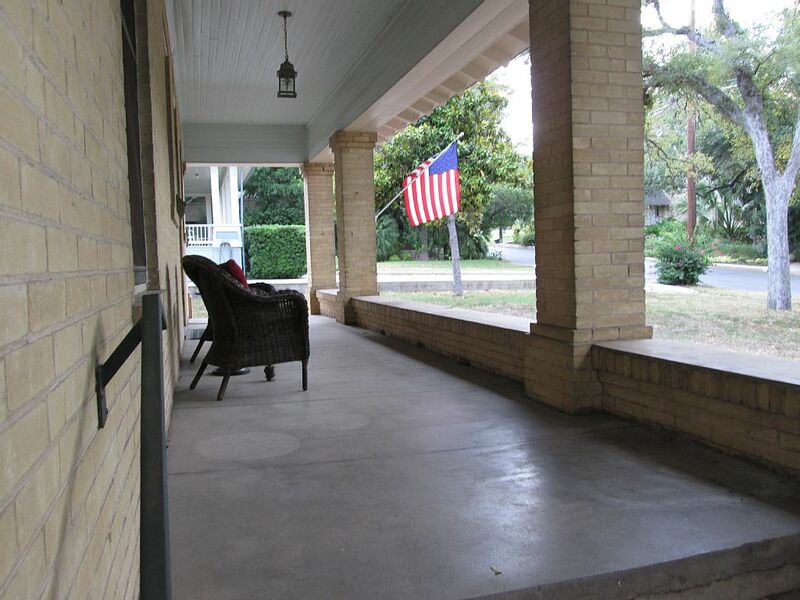 This charming 100-year-old home built by my great-grandparents in San Antonio features a wide front porch for lounging in the cool breezes, sipping lemonade and enjoying conversation. 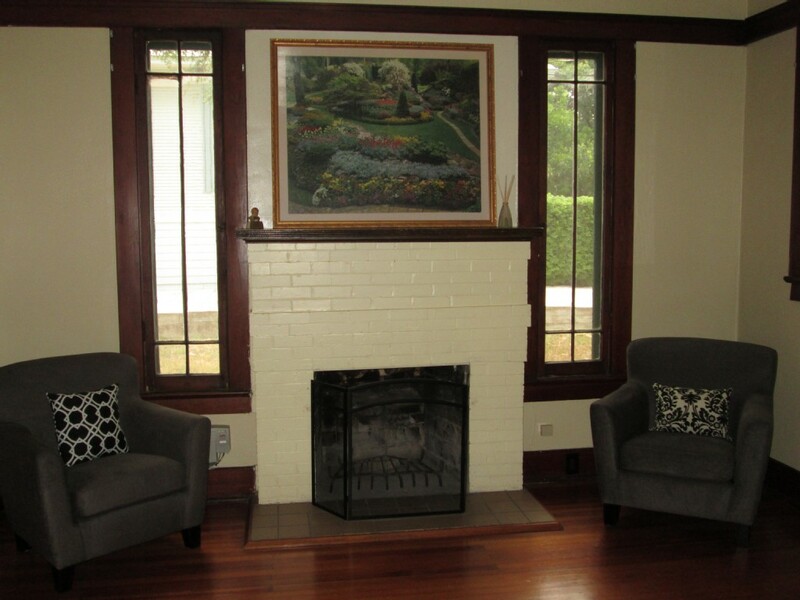 Step through the 100-year-old door into the living room with original hardwood floors and working fireplace. Curl up in a chair next to the fireplace for a cozy hour of reading. 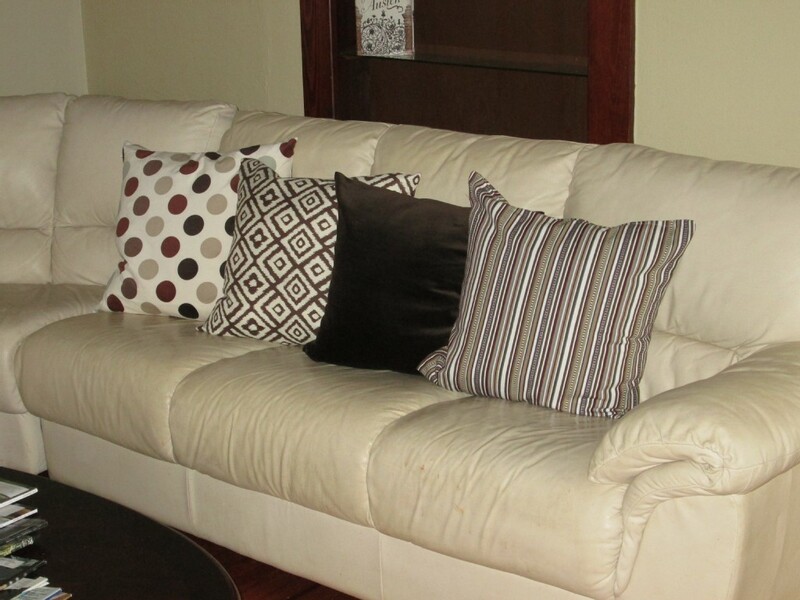 Or lounge on the leather sofa to watch TV. Further in the house, the gracious dining room has a table for four. You’ll fall in love with the built-in china cabinet and the floor-to-ceiling windows that let in natural light. The Vienna bedroom has a sophisticated air with a mirrored dressing table and period accents. 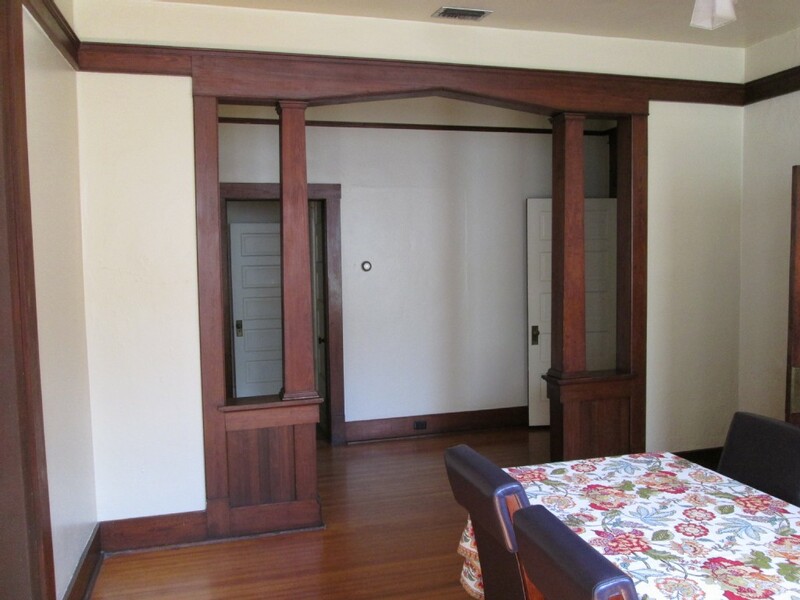 Open the closet door to reveal a full-length mirror. The Bavarian Room has a chic European feel with elegant touches. 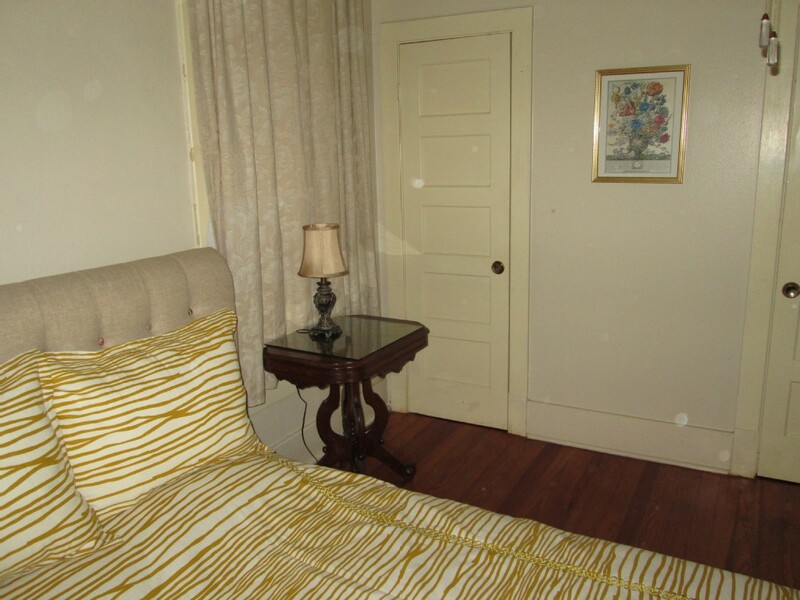 Both rooms have queen beds and luxurious sheets. 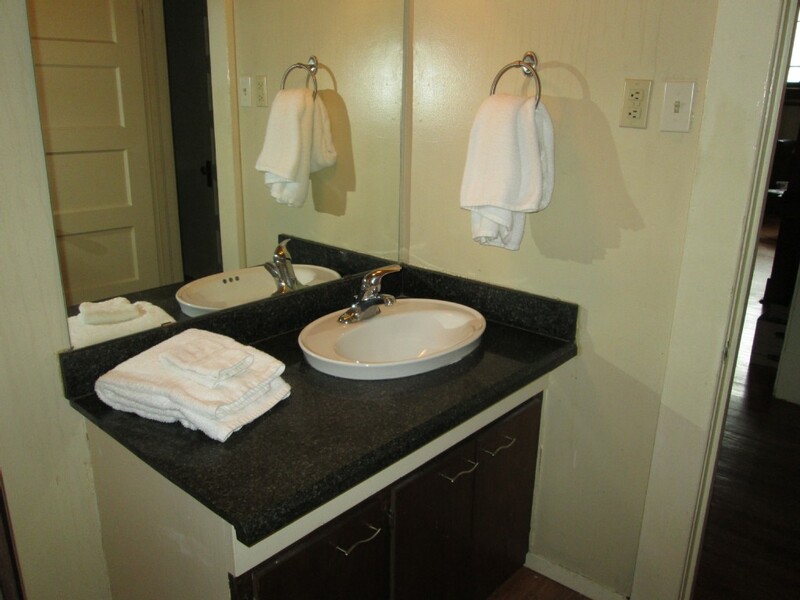 The bathroom has a granite-like countertop and a vessel sink. The original hardwood floors in the kitchen have just recently been rediscovered! What a warm feeling to wake up to the smell of coffee and step into this kitchen with old world butcher block countertops and a bright view over the sink. 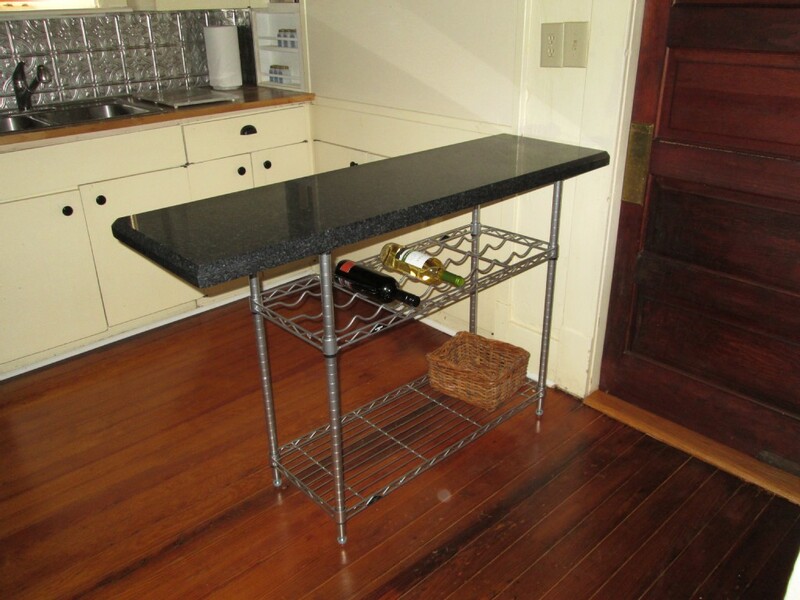 A granite peninsula adds even more counter space. 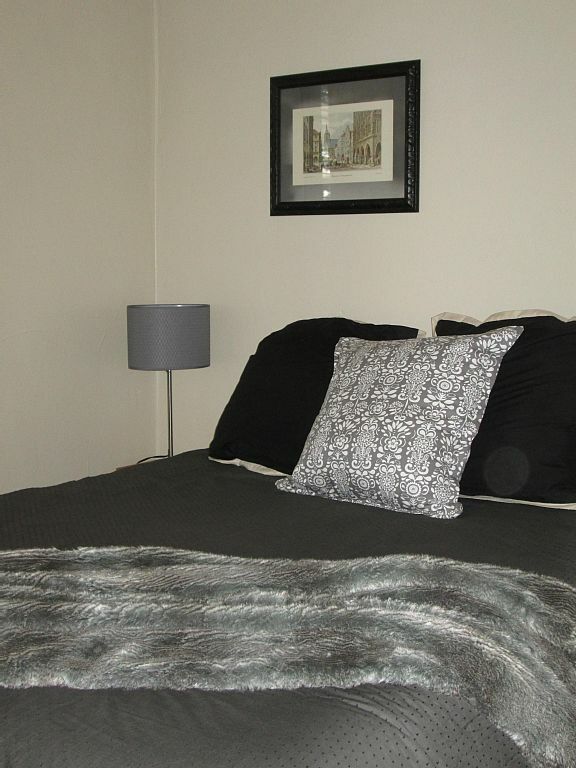 Coffee maker, toaster, microwave, wine rack and other modern conveniences are provided. The large backyard is furnished with outdoor seating so you can relax under the palm tree with the beverage of your choice after a busy day downtown. Within walking distance: Starbucks, Local Coffee, BIRD Bakery, Broadway Daily Bread, Central Market grocery store and more. Restaurants include Cappy’s, Cappyccino’s, Mon Thai Bistro & Sushi, Paloma Blanca Mexican Cuisine, Lion & Rose British Pub. We are within five miles of the Alamo, RiverWalk, convention center, Alamodome, Majestic Theater, Witte Museum, McNay Art Museum, San Antonio Museum of Art, botanical gardens, zoo, Pearl Brewery, Institute of Texas Cultures, Quarry Market, Trinity University, Incarnate Word University, Children’s Hospital, Metropolitan Methodist Hospital. Within 10 miles, you can reach UTSA downtown, Our Lady of the Lake University. We stayed in Linda’s Craftsman home in Alamo Heights. It was near many resources and activities. There was plenty of room for our family and Linda allowed me to bring my dogs. The backyard was beautiful and large. I look forward to staying there again in the spring or summer. Thank You Linda, it was a Great Place to spend time with my family!!! This quaint Craftsman home is wonderful, comfortable and fun. We spent Thanksgiving and cooked and laughed , walked in the lovely neighborhood. The owners came by to help with a problem lock and could not have been more accommodating. My dogs loved the back yard. I will return. The pictures truly do not do this property justice! My husband and I, our son and his girlfriend and dogs spent a fabulous long weekend in this home on a first time visit to San Antonio. We were so impressed with how quickly and easily we were able to get to everything from the Alamo and Riverwalk to the Japanese Gardens and museum district to the refurbished Pearl area. But mostly we just wandered the gorgeous neighborhood or relaxed on the front porch or watched the dogs play in the huge back yard. 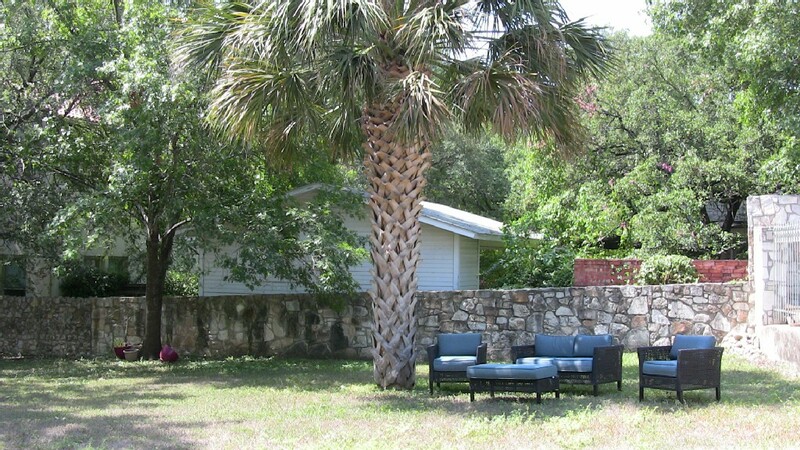 We have been doing vacation rentals for years and this was the first one that had us all sitting around in the evening saying, “I could live here!” The owner was a joy to work with and left all kinds of helpful info and directions. Highly recommend!! 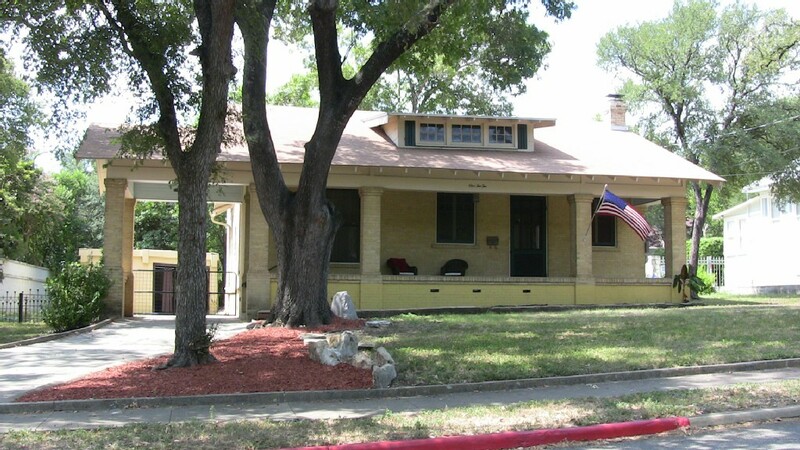 The house is in an amazing location of San Antonio in a beautiful tree-lined street historic area. The beds were very comfortable and my dogs enjoyed the large backyard. Great house! Beautiful. Loved historical family pics. Great location. Owner was very accommodating to our schedule. House stayed cool during hot summer month. Comfortable. Kitchen was well organized. Family room was well sized and dining area light and airy. Our personal favorites were sitting on the wide front porch during breezy evenings, our child scootering with a friend to local ice cream shop and our pet found many a cool spot to nap. 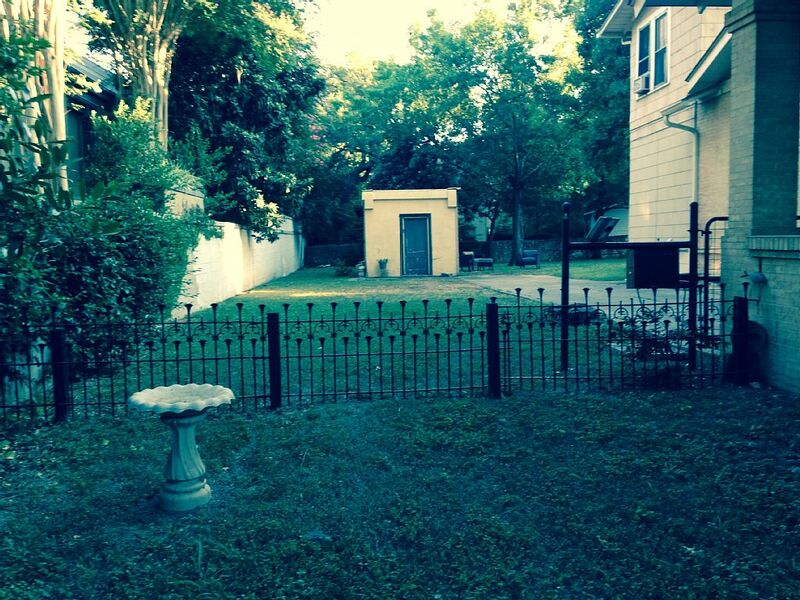 Large back yard and ample parking behind gate was useful for loading and unloading packages. We are locals but felt like on vacation. We walked to pizza restaurant and Starbucks. Nice neighborhood with charming homes of various styles, quiet and tree lined to walk. Nearby restaurants, a top level grocery were convenient. Thank you Linda for sharing your home! This home is gorgeous and is located in a wonderful neighborhood. The home is very well maintained, clean and functional. We had some personal challenges on this trip, and the owner was extremely helpful with our stay. I would absolutely recommend this home to any traveler. Great place! So charming and quaint! We had a wonderful long term stay at this beautiful home. It’s well stocked with all the comforts of home. The owner is fabulous to work with and welcomed us with open arms. I would highly recommend staying here for a long or short term getaway. Terrific location!